April 1st - April 30th, 2019. 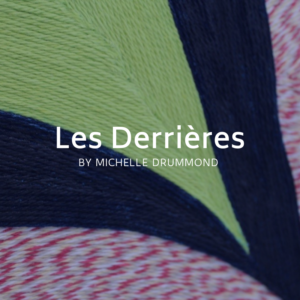 Kicking off the exhibition season for the Back Room Gallery at Arts Warehouse, Michelle Drummond is showcasing her newest body of work called Les Derrieres. Using strings and acrylic paint on canvas, Drummond created bright imagery. 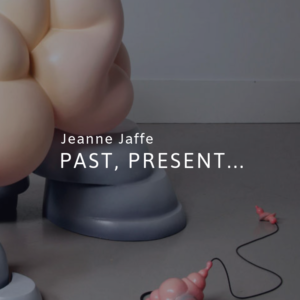 An Solo Exhibition by Installation and Sculpture Artist Jeanne Jaffe in the Front Gallery at Arts Warehouse titled "Past, Present..."
CALL TO ARTISTS | WE NEED YOU! 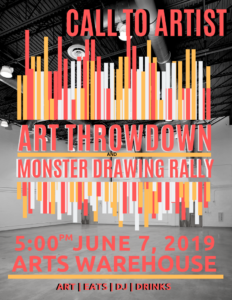 We need to you help us Rally and Throwdown some art and Fun!